Corn rootworm emergence typically begins in the days following July 4th. Based on predictive degree-day models and confirmed with flotation of rootworms from dug plants, 2018 will follow this pattern with hotter temperatures even accelerating emergence. Last week we observed early pupae at four locations: Rosemount, Springfield, Litchfield and Hancock. While the fields varied widely in larval density, the lead edge of development had just progressed to pupation. At this time, maximum feeding injury should be occurring in root systems and corn will be at its most susceptible for lodging. Winter survival – The brutal cold weather in Dec. and early January could have caused egg mortality. Emergence will tell us when and where winter mortality was significant. Delayed planting – Later planting dates typically mean smaller root systems at hatch with fewer larvae successfully colonizing root system. Later-planted fields are presumed to have lower larval rootworm densities. Spring rainfall – Soils saturated from heavy rains during hatch can cause “drowning” of small, newly hatched larvae. Extreme rainfall events through much of MN in early June could have reduced larval density, especially in low lying and poorly drained areas. So far, we’ve noticed densities of 20-30 larvae per root system [flotation typically underestimates densities) at heavily infested sites near Rosemount (well drained Waukegan silt loam) and Litchfield (clay loam soil). That’s enough larvae for significant root injury. At these sites, none of these prospective mortality factors did the job. At Springfield, standing water in the field appears to have reduced larval numbers. Ensure pollination success. Scout as field begins to silk. Spray field with insecticide to knock down adult populations only if silks are kept pruned to within 0.5” early in pollination. Quit scouting as browning silks indicate pollination has occurred. Populations pruning any silks after this point are irrelevant from a pollination perspective. 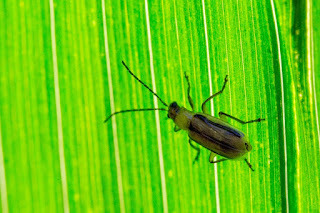 Note: Late planted and even replanted fields this year will be at particular risk as beetles are attracted to fresh silks and will congregate in these fields. Gauge egg laying populations to adjust management efforts next year. 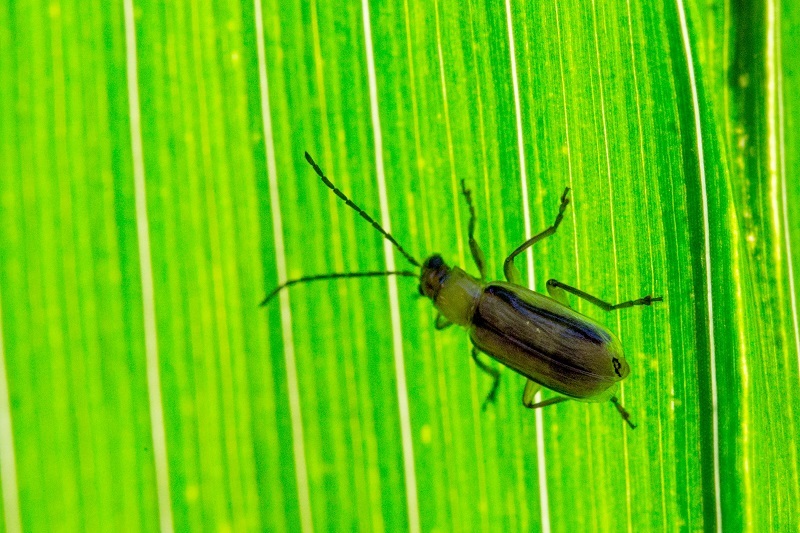 With low corn prices, tailoring corn rootworm management to the population in the field offers the best potential to reduce costs while ensuring adequate root protection and keeping corn rootworm populations under control. 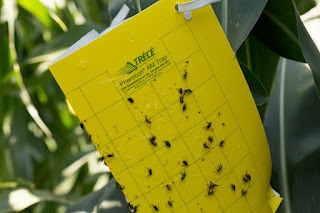 Sticky traps and whole-plant counts are the two preferred methods to quantify corn rootworm populations. Would you like to be a part of the IPM corn rootworm survey? This summer, the MN Extension IPM program will be conducting a survey to assess corn rootworm population density and geography. If you’d like to help by monitoring one of your clients’ or your own fields, just send an email to Ken Ostlie @ ostli001@umn.edu providing your contact info and indicate how many fields you’d like to monitor with sticky traps. 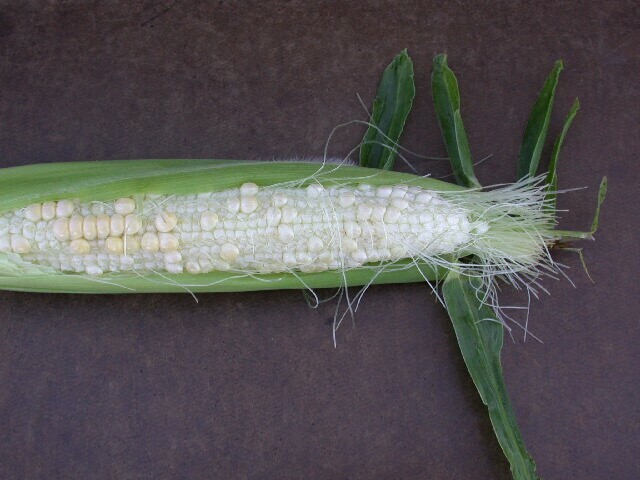 More details on corn rootworm survey and scouting to follow.